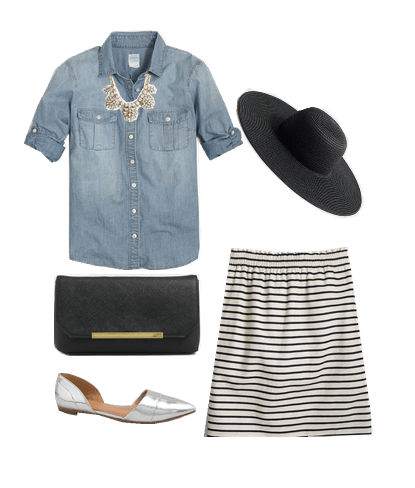 Today’s Cute Outfit Ideas of the Week features finds from the J. Crew Factory 50% off sale, where everything is on sale! From cute striped skirts and chambray button up shirts, to espadrilles and floral dresses, they’re helping us get warm weather ready. I have three outfit ideas for you today, plus some of my favorite J. Crew Factory items on sale. 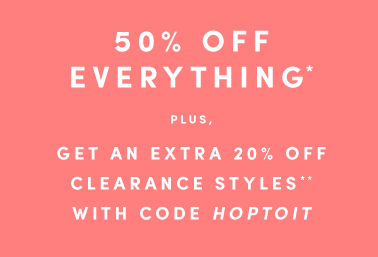 Also get an extra 20% off clearance prices with the code HOPTOIT. I absolutely love the look of a chambray shirt paired with a striped skirt. It’s classic, it can be worn so many places and it’s simple. You can dress it up or down depending on your choice of shoes and accessories. You can kick things up a notch by trading out the d’orsay flats for a pair of colored heels. I love pairing a crisp classic white button up with shorts of any kind. It makes for the perfect outfit for the weekend. Wear it with the stripes shorts as pictured above or with a pair of denim shorts. These sandals are very versatile as well and go with dresses, jeans and shorts. Do printed pants scare you a little? They used to scare me and I didn’t think I could pull them off. Until I actually tried on a pair! Funny how that works huh? 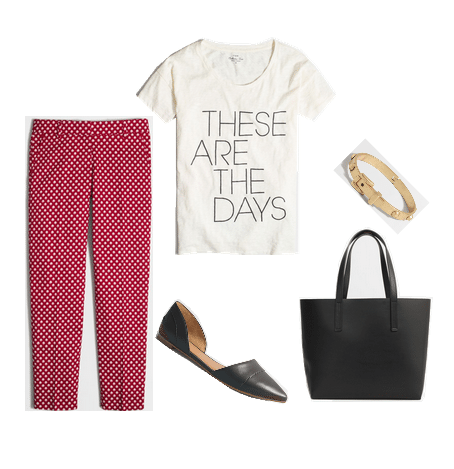 Printed pants paired with a tee or statement tee is a really fun outfit. Printed pants show confidence and make you feel like you can tackle the world. Okay, maybe I’m exaggerating just a bit, but they can make you feel awesome! Can you believe every piece of clothing, jewelry and pair of shoes in the outfits above are 50% off? It’s true! Here are a few more of my J. Crew Factory favorites. What kinds of cute outfit ideas are you looking for? Let me know and I just might put together a feature around what you’re looking for! Love what you put together Julie & what steals! !